﻿PowerPoint to PDF Converter - PDF Converter, Word to PDF Converter, AutoCAD to PDF Converter, Excel to PDF Converter, PowerPoint to PDF Converter, CorelDraw to PDF Converter, WordPerfect to PDF Converter, RTF to PDF Converter, Txt to PDF Converter, Image to PDF Converter. 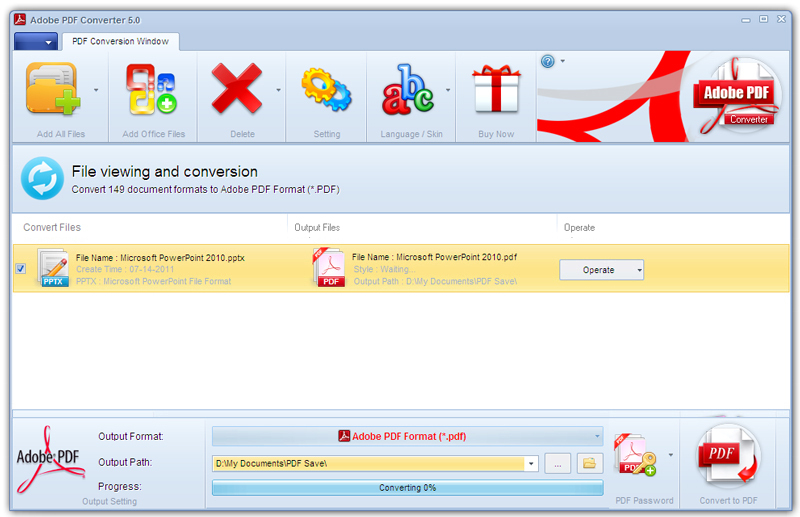 PowerPoint to PDF Converter= Adobe PDF Converter can help you quickly convert 149 file formats to PDF format (*. PDF).